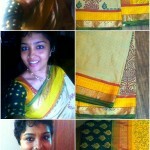 100sareepact | My Success Saree! So I had applied for a change in visa status–for a long overdue trip to the US. And with all the hectic mayhem here in chennai I almost forgot!! Sheesh!! But thankfully I had all my paperwork ready when I booked the appointment itself. So it was fine. So I braved the chennai heat n wore a saree. The result? Easy breezy interview n of course I got my visa too!! 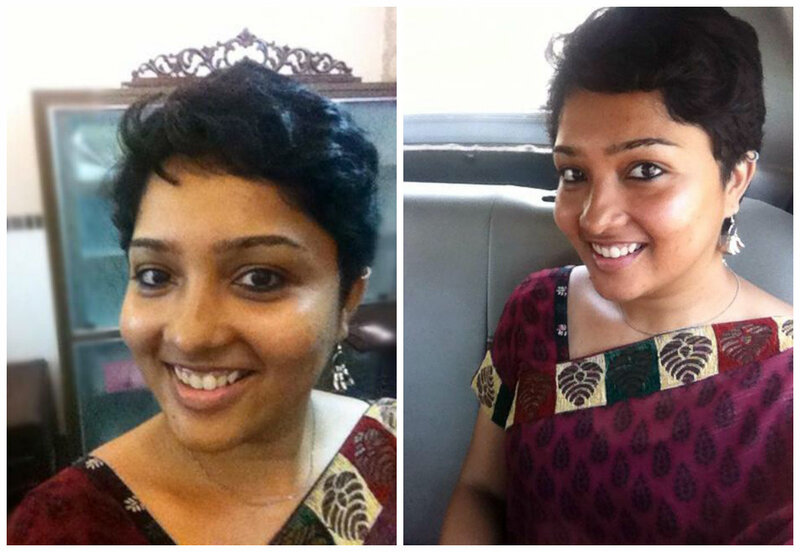 This is amma’s saree which I’m not fond of…AT ALL…in fact I almost didn’t let her buy it. But she liked it. And after our little tug of war discussion–I struck a deal with her. So I insisted n did a little embroidery to make it look a little more interesting. Just had to make it a tad bit…teju shtyle! And now that’s what happened to half her wardrobe! As weekend projects I embroidered her already tailored blouses. And the perk? I get to enjoy them too!